Cash may not be the best way for you to support causes or institutions you care about. Do you have a permanent life insurance policy that you don’t need anymore? You could cash it out and collect the money but if there are gains within that contract a portion of the surrender could be taxable. If you like the idea of making charitable donations, you may want to consider giving the policy to your alma mater or a charity. You could name a charity as the policy's beneficiary, and then the charity would receive the gift when you die. This option would allow you to still have the ability to borrow against the policy and take cash withdrawals. Keep in mind this would reduce your future gift. You also still have the flexibility to change your mind and name other beneficiaries with this option. But, you are giving up the income-tax deduction with this route. Another option is for you to transfer ownership of the policy to the charity while you are alive. You can claim a tax deduction for a portion of the value of the policy by transferring ownership. You can claim up to 50% of your adjusted gross income income (30% for gifts to a nonoperating private foundation). However, this option is final so you cannot change your mind after it is transferred. Some organizations don’t prefer this method so you will have to check with them to see whether they will accept it. Donating a life insurance policy can create a gift that is much larger than might otherwise have been possible. You could also create some tax benefits for yourself. Donating life insurance provides more bang for your buck than simply donating cash. For example, there are two alumni who each want to donate $50,000 to their fraternity. While one donates $50,000 in cash, the other has paid premiums of $20,000 for a policy that provides $50,000 in death benefits to the fraternity. In terms of tax deductions, transferring the life insurance policy so that the charity becomes the owner and beneficiary can be the most effective way to go… Doing this entitles you to an immediate income tax deduction, and if you continue to pay the premiums, each payment is also considered a charitable donation and is tax deductible. 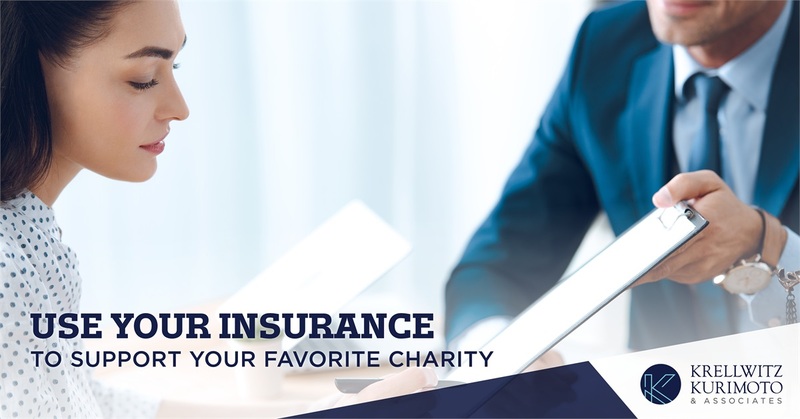 Donating a life insurance policy to charity outright is just one of the ways you can leverage a policy that you no longer need. Another way to donate would be to exchange a life insurance policy for a charitable gift annuity. Doing this allows you to deduct the value of the benefit received by the charity while still receiving an income stream for life. Or, you may determine it is better to use other assets to make charitable donations while retaining the life insurance policy to replace that wealth. You could fund a charitable remainder trust and still generate income to pay the insurance premiums. Choosing to donate an unneeded life insurance policy can be a smart move under the right circumstances. Working with an advisor can help you determine if making a charitable donation this way would best serve your needs. It is important to explore the implications of a charitable gift of life insurance before you dive in. Contact us to speak with an advisor about your donation options. DISCLOSURE: You should discuss any legal, tax or financial matters with the appropriate professional for information concerning your individual situation. None of the information in this document should be considered as tax advice. Tax or legal services are not offered through, nor supervised by, The Lincoln Investment Companies.